Each bedroom has been designed and restored with the utmost care, paying attention to even the smallest detail whilst trying to recreate the atmosphere of yesteryear. 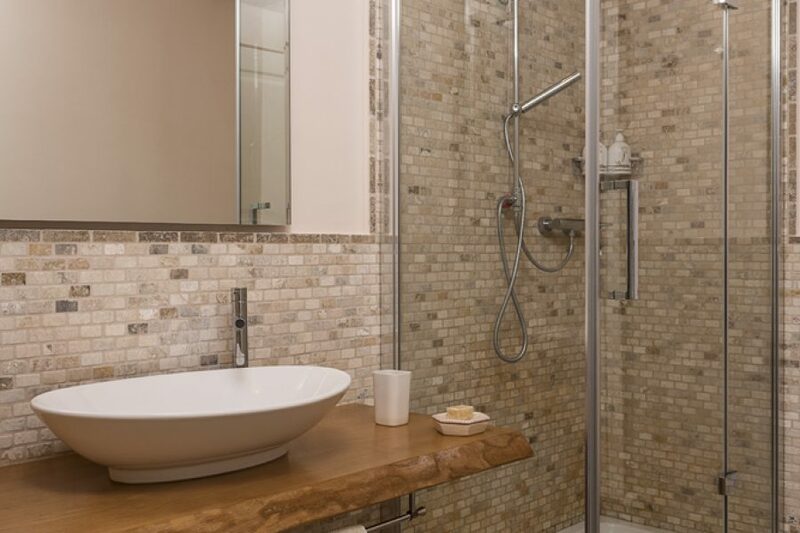 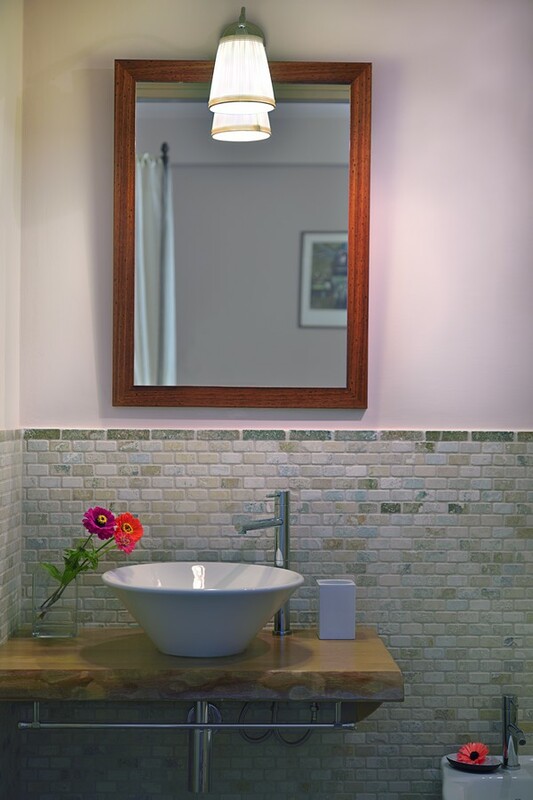 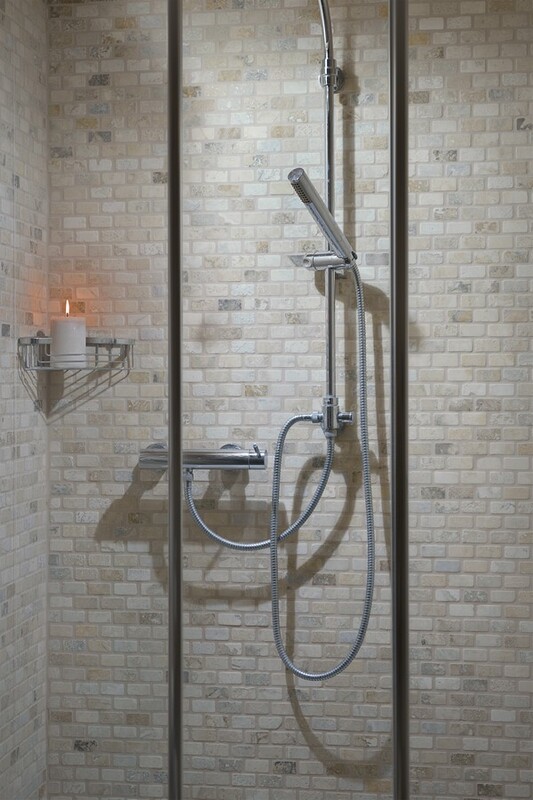 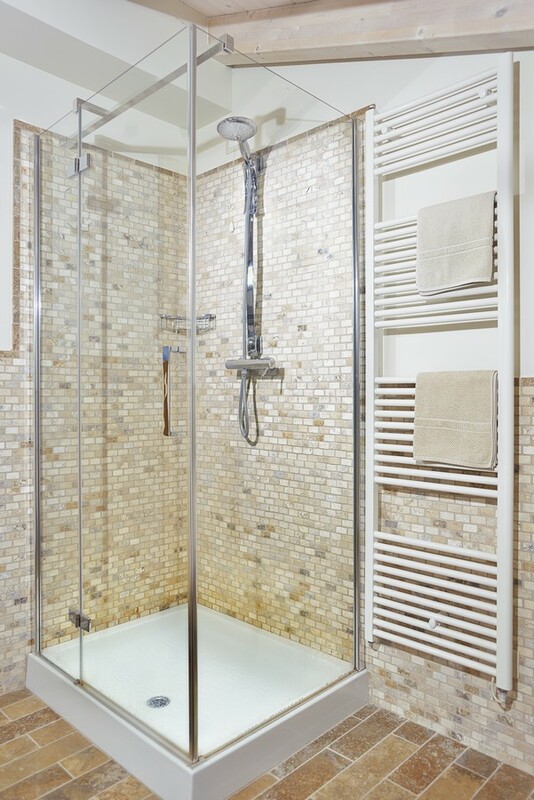 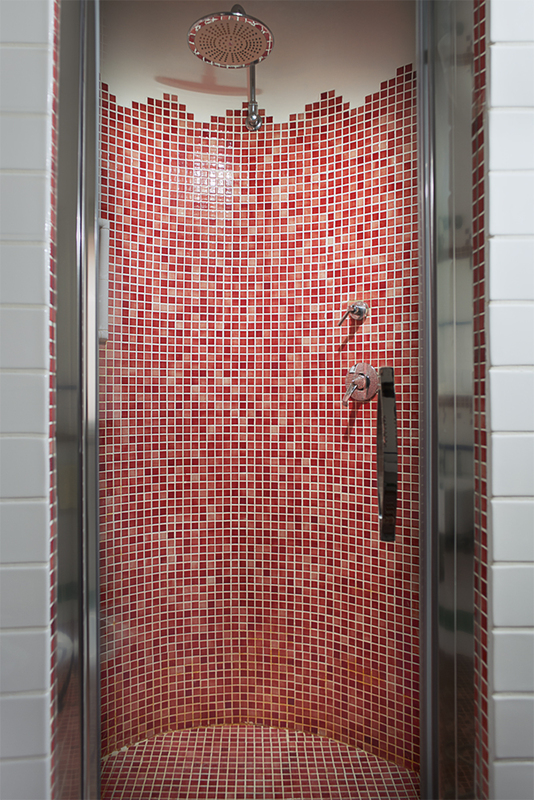 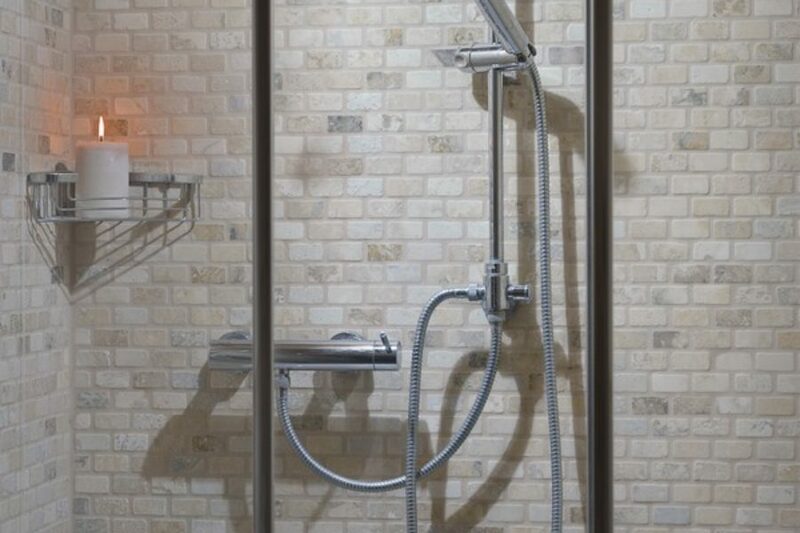 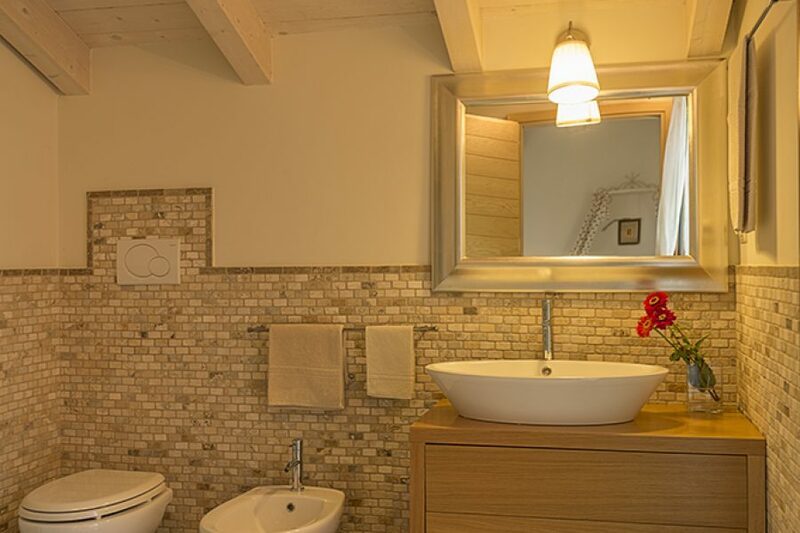 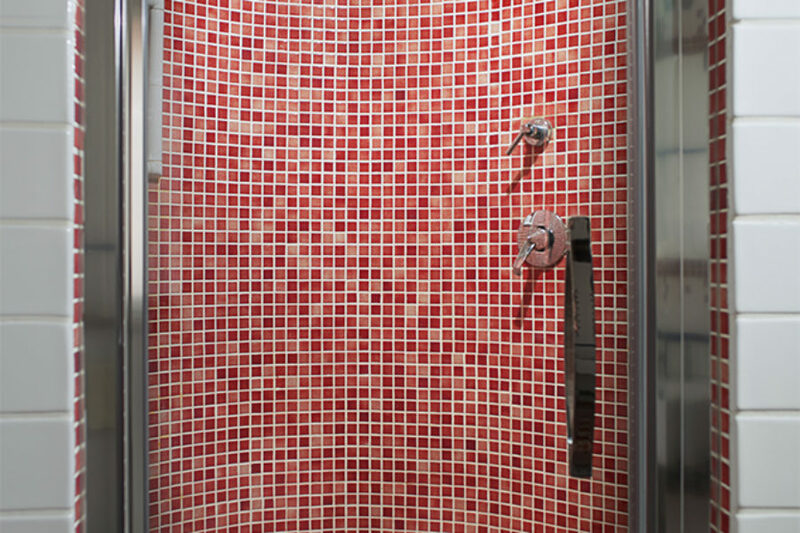 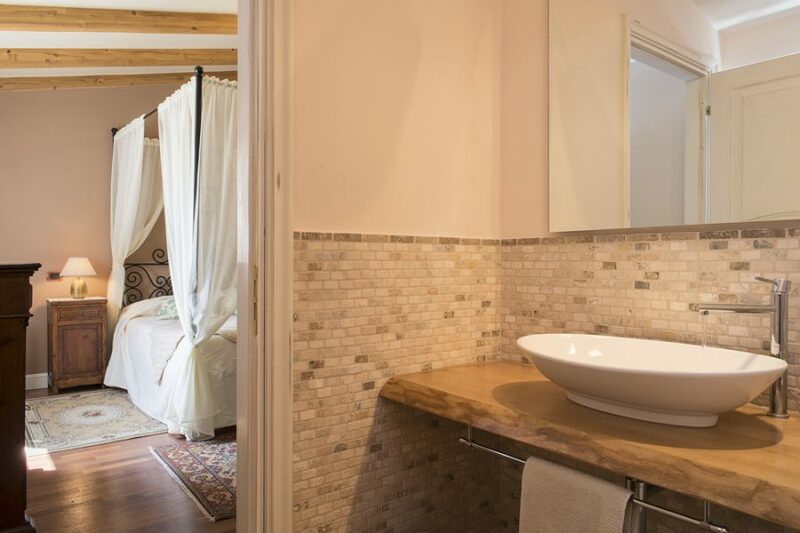 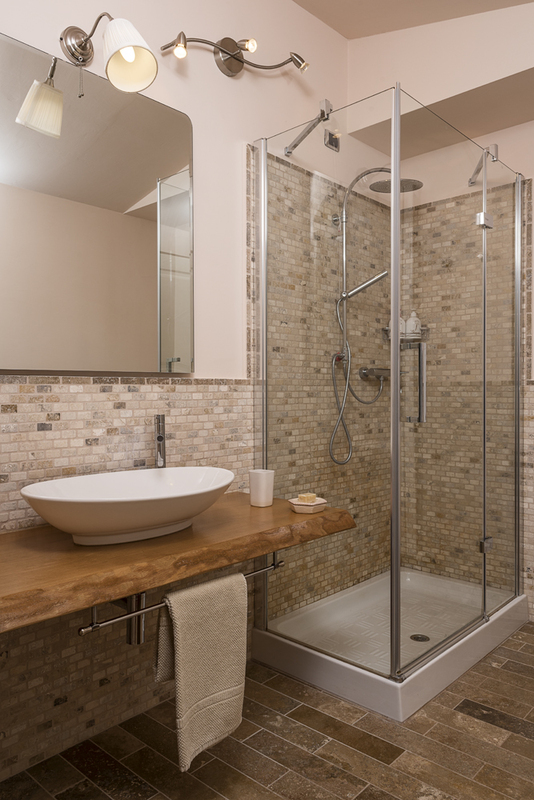 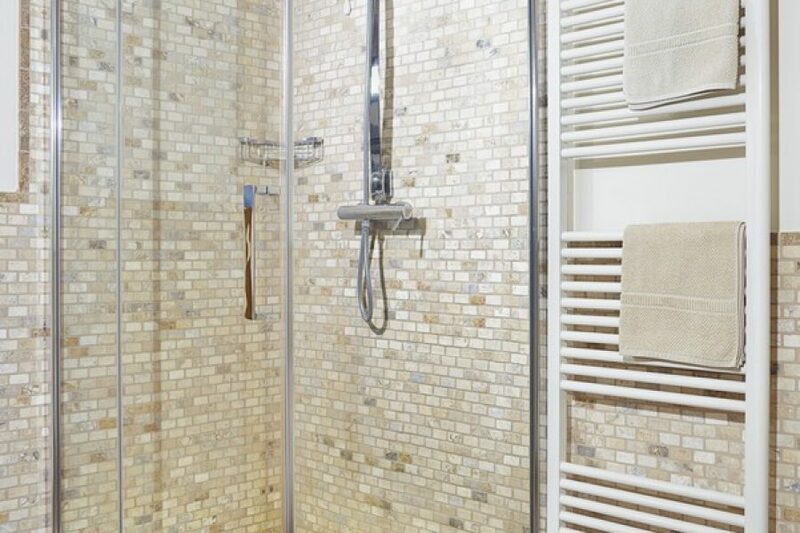 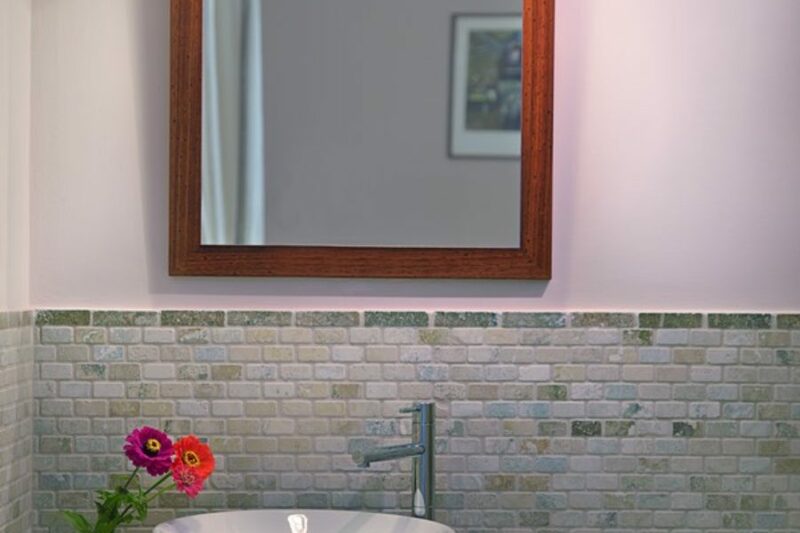 All bedrooms feature wooden floors (except for the annex) whilst bathrooms sport mosaics made with local stones. The wrought iron canopy beds have been crafted by a local artisan. Antique furniture and rugs contribute to making the décor warm and welcoming. 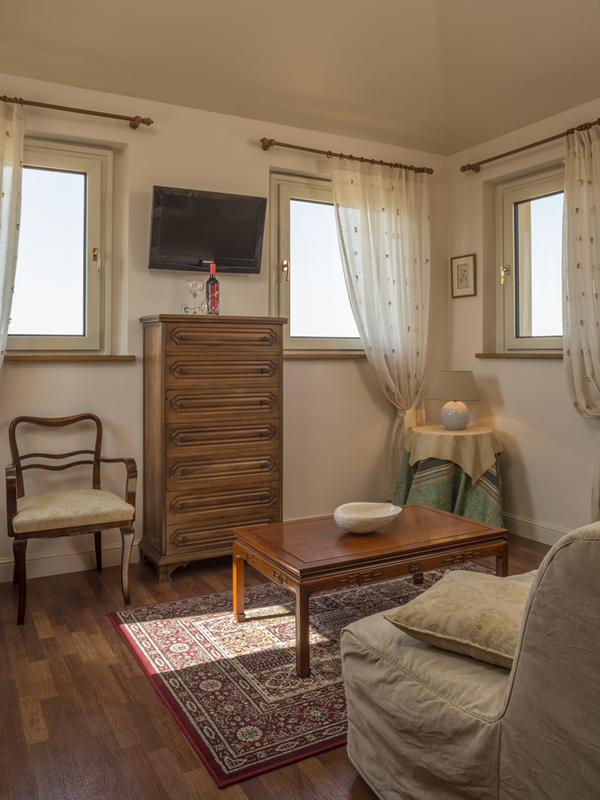 Each bedroom is fully air conditioned, and is fitted with a digital television, a hairdryer and a safe. 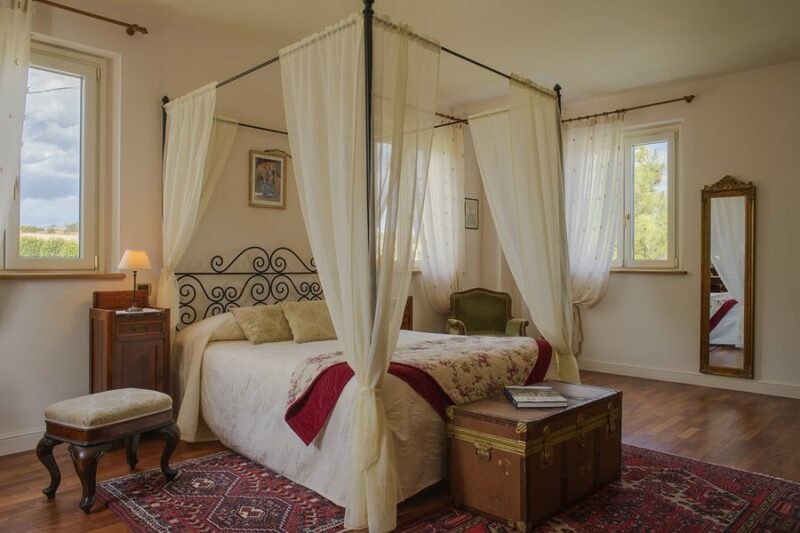 In bygone times this bedroom would have been given to newlyweds because, as tradition dictated, when one of the offspring married, the house was extended to welcome the new couple. 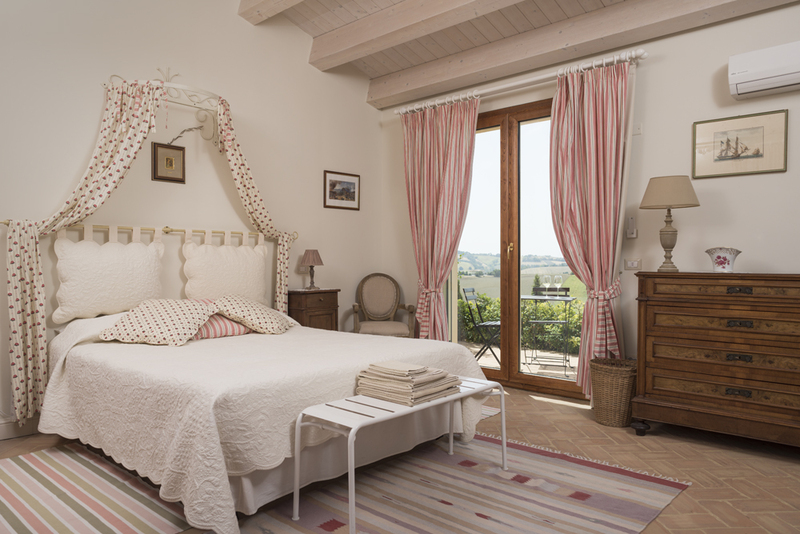 This bedroom features a 19th century chest of drawers – originally a dowry from the bride. 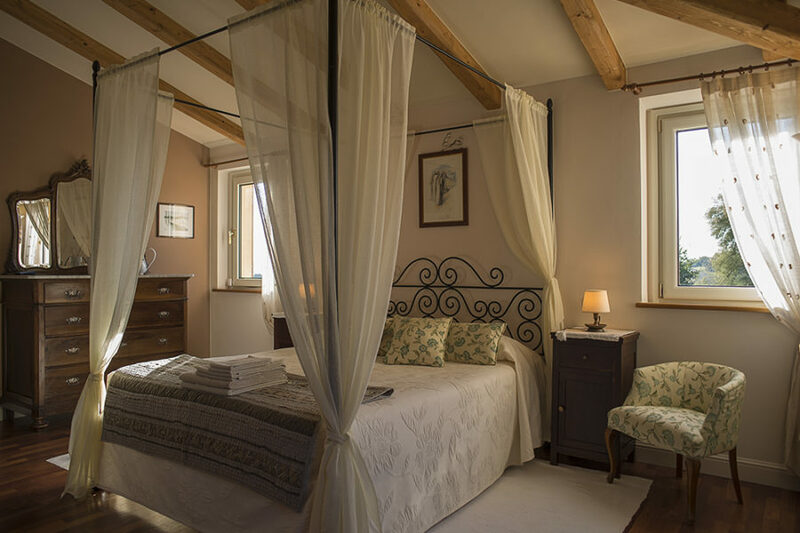 This bedroom, slightly larger than the average farmhouse bedroom, was originally positioned over the stables, accessed via a stepladder , so that the occupants could quickly reach the animals LIVING below. 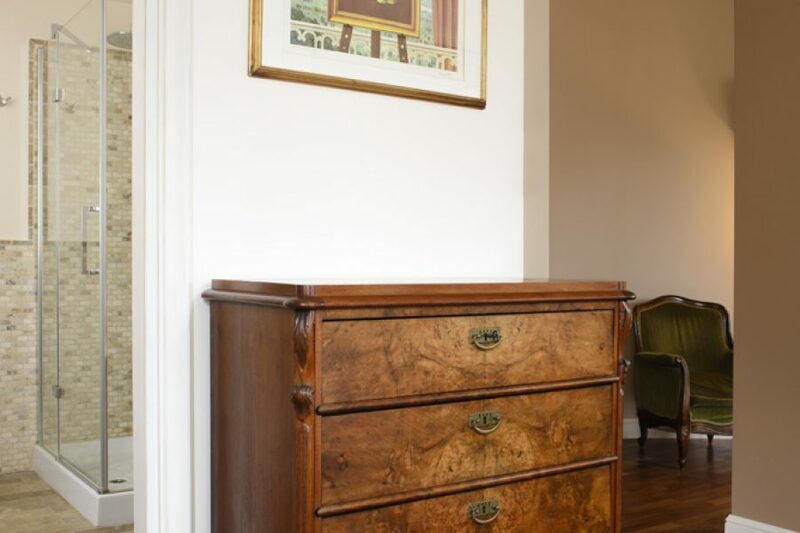 An early 20th century wardrobe and some chests of drawers dating back to the 1920’s complete the décor of this room. 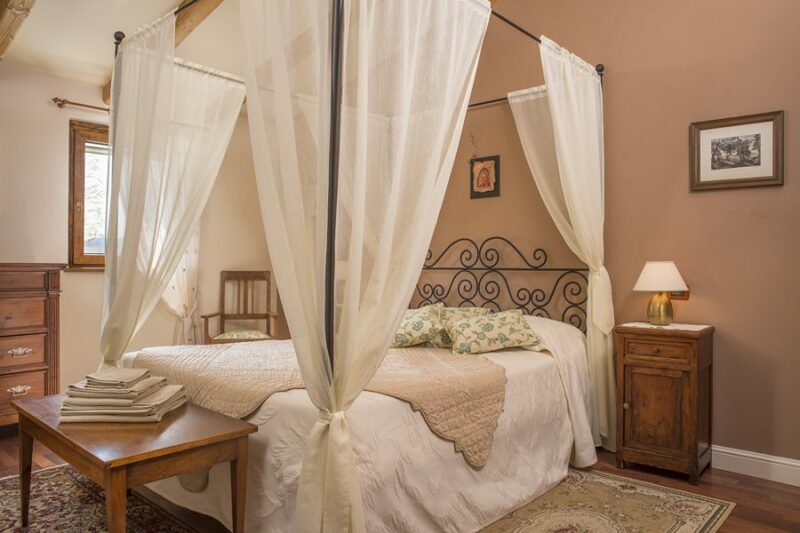 This is the largest bedroom in the house. 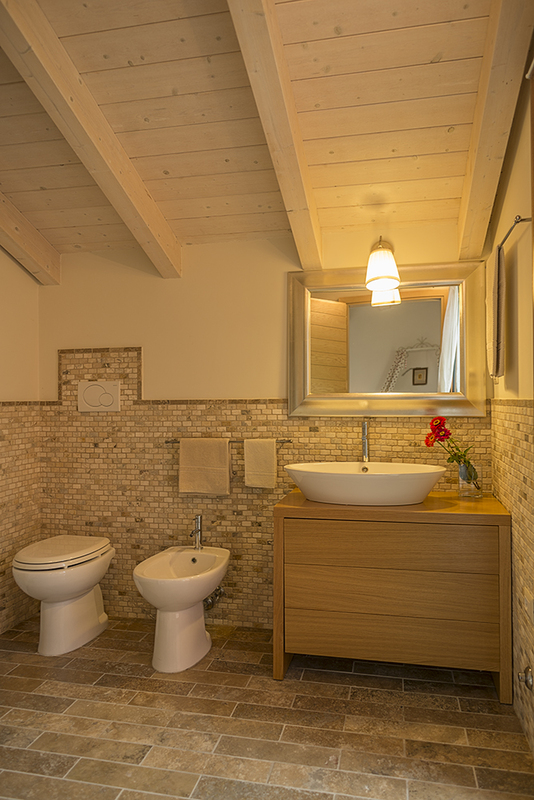 Originally that of the patriarchs of the family, it would have been given to the new parents during the birth and weaning of their offspring. 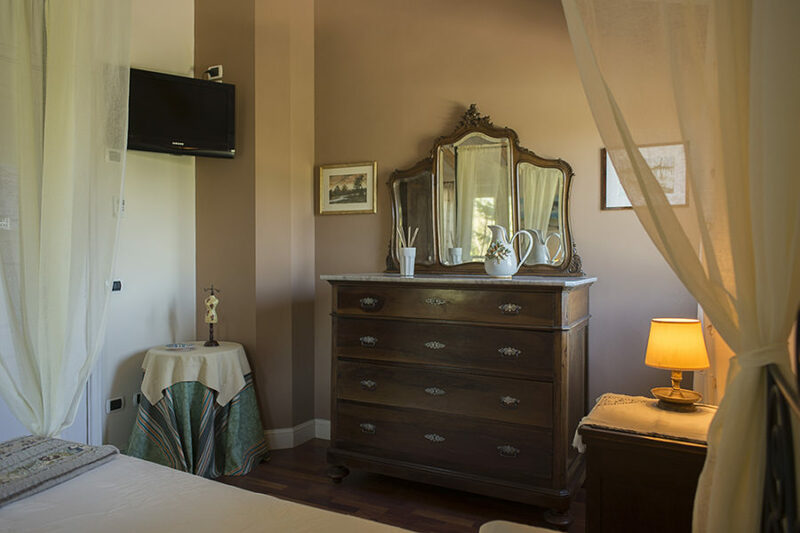 This type of bedroom, together with the kitchen and the fireplace, functioned as the focal point for the rural family from Marche. 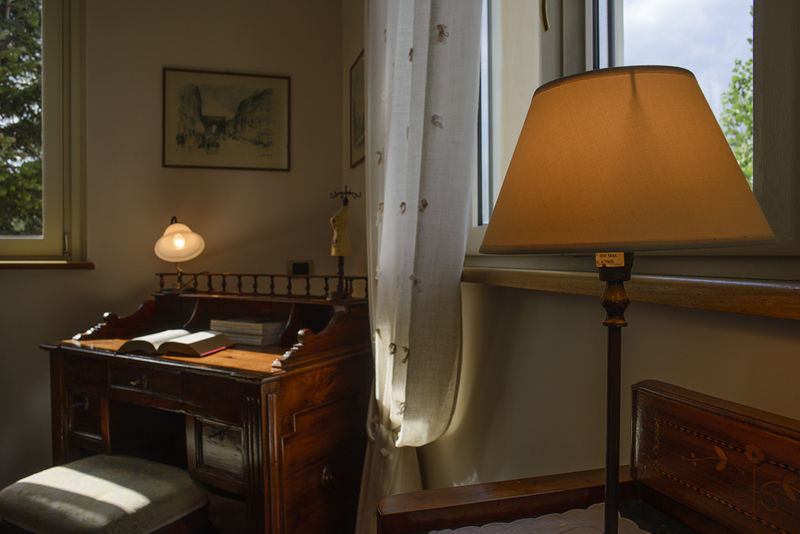 An antique writing desk is situated in this room and which would have doubled as the family’s office. 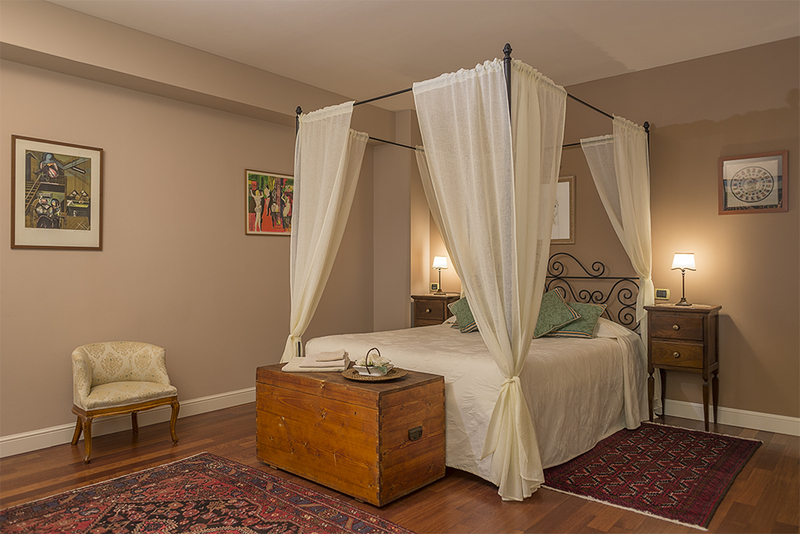 This bedroom, once the old wheat warehouse, was built as a tower over the house and enjoys a 360° view. The suite comprises a double bedroom, a sitting room, one additional bed and a bathroom. 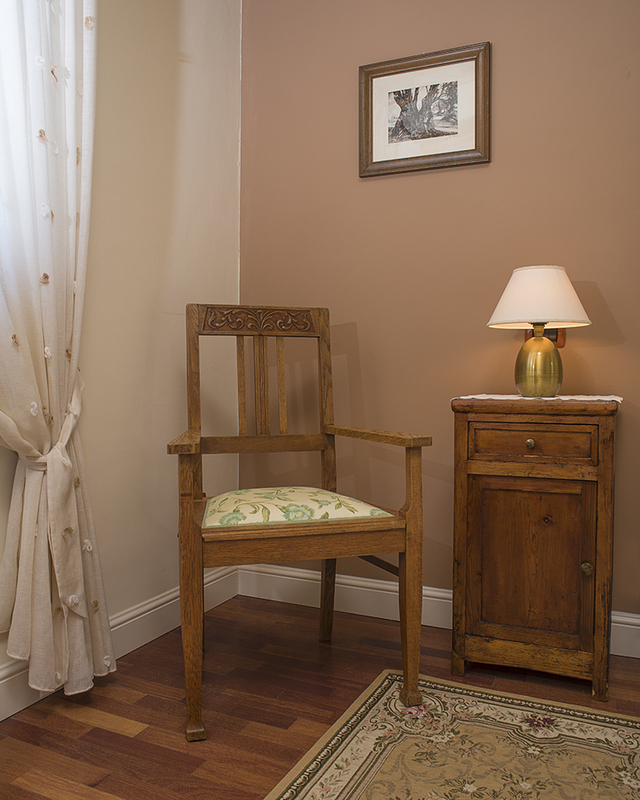 The furniture dates back to the 1920’s. 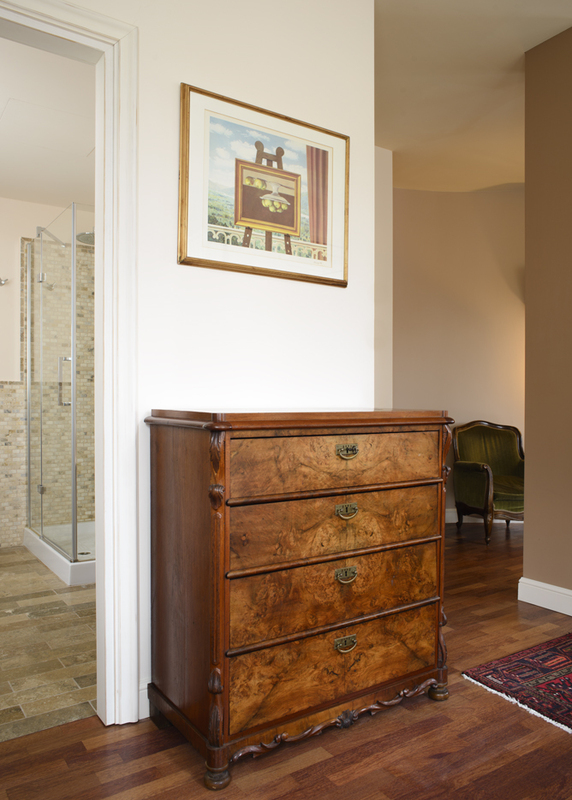 From the cellar and UP to the ground floor we have built this large open plan bedroom where a beautiful 20th century antique wardrobe and chest of drawers dominate the space. 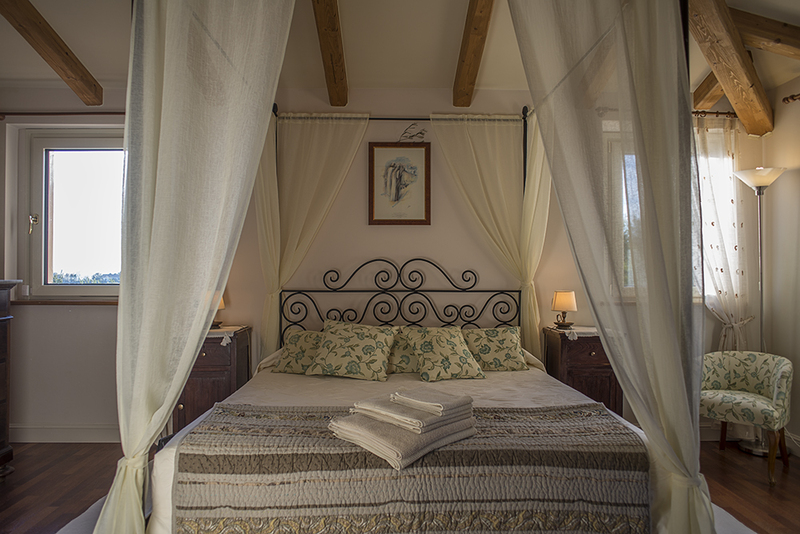 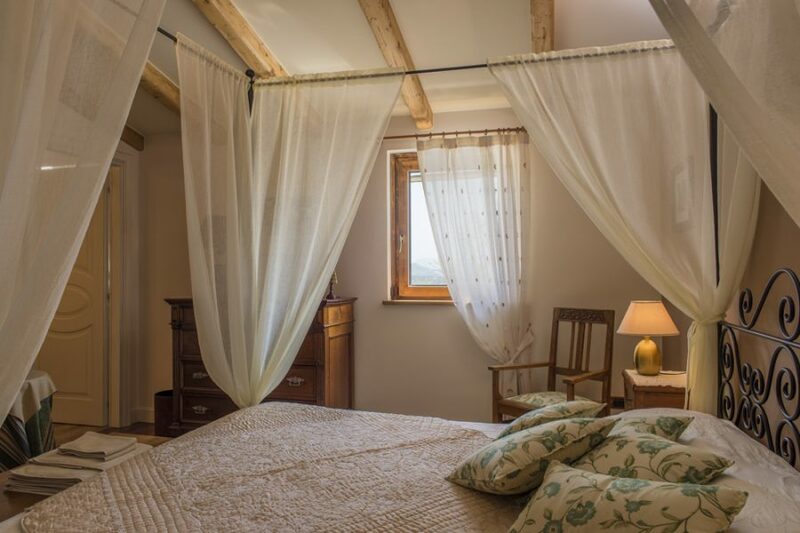 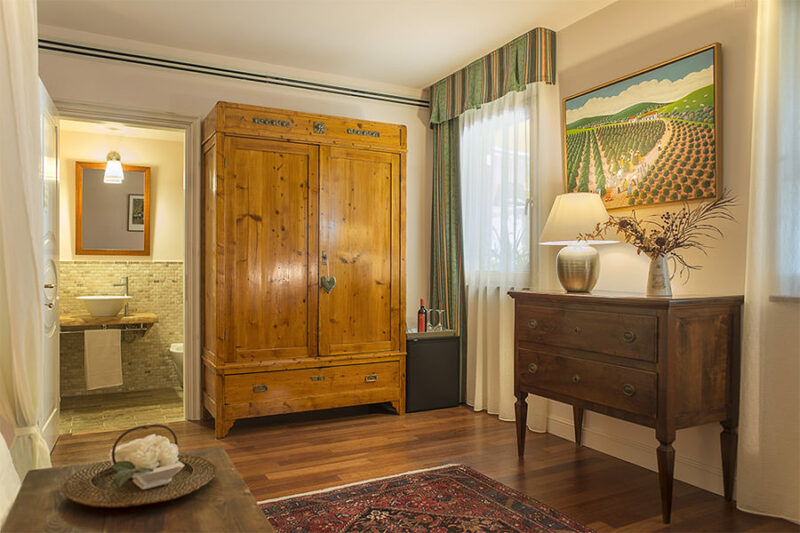 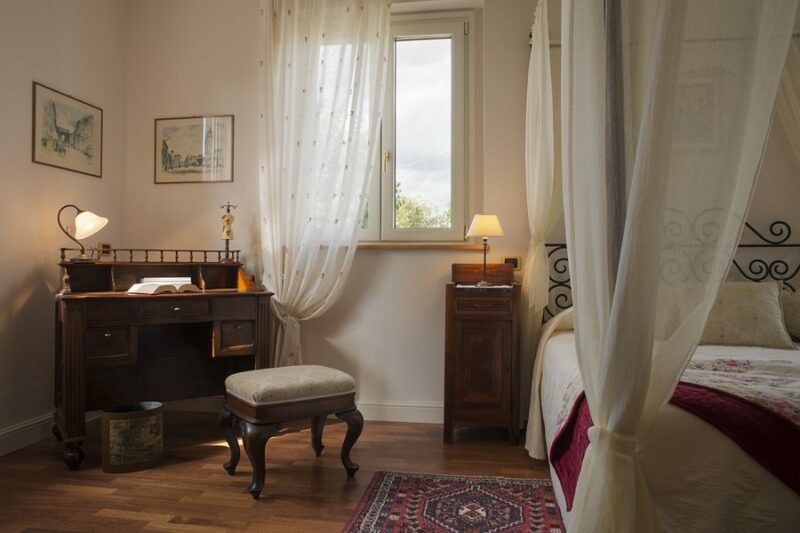 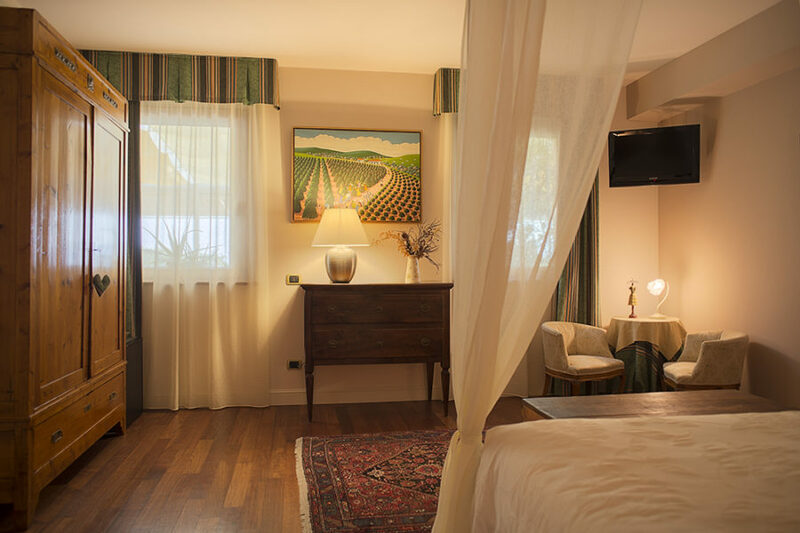 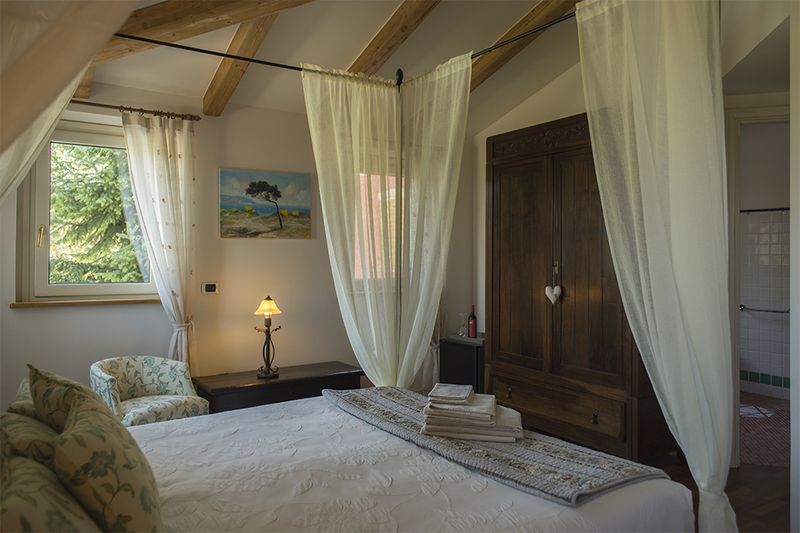 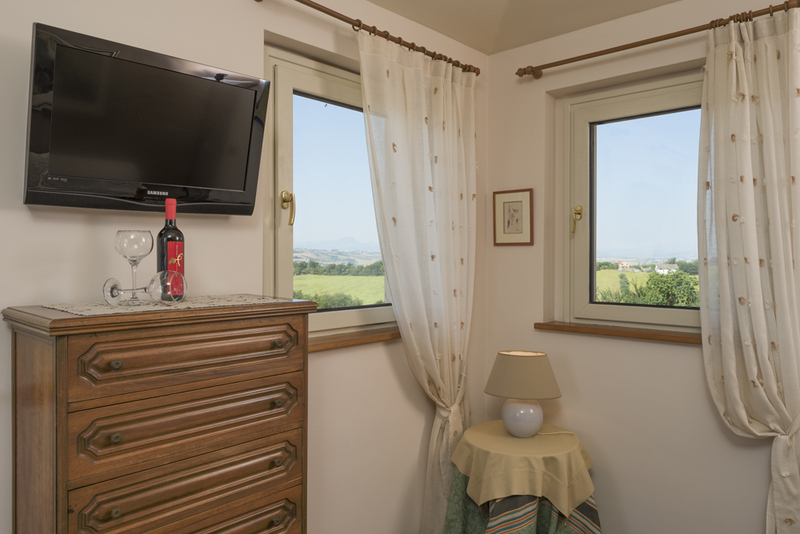 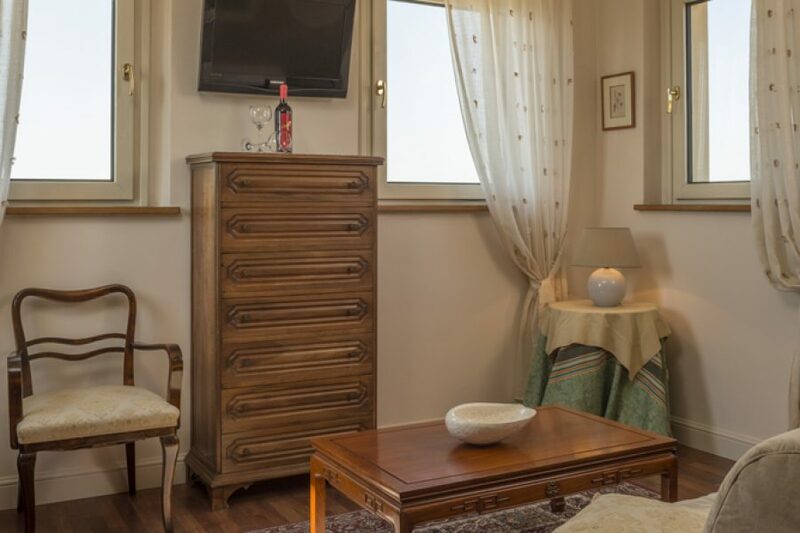 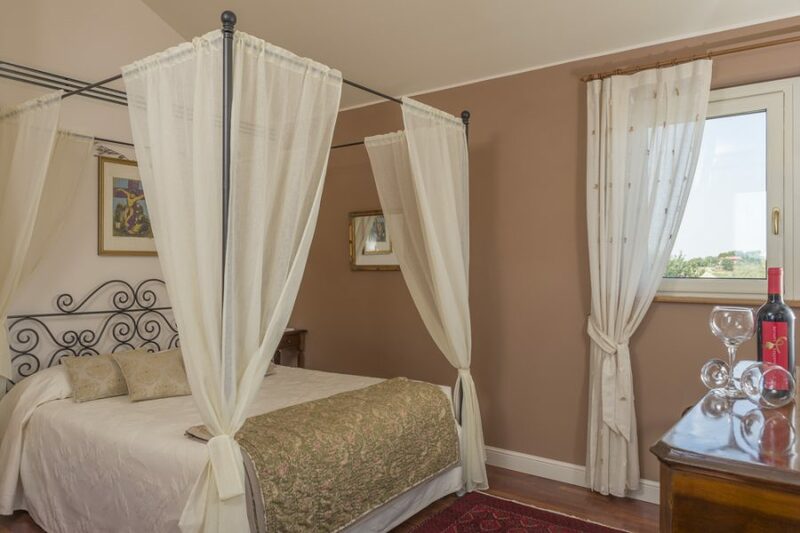 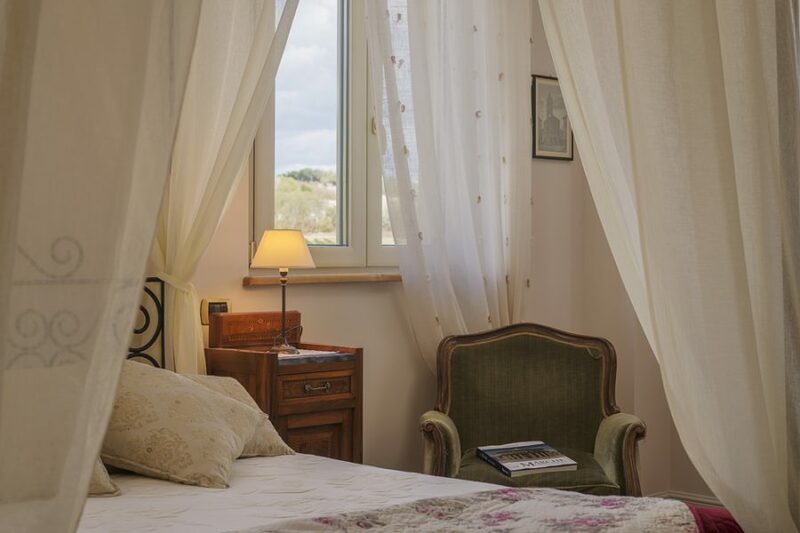 This room, originally the old hay loft annexed to the barn, has been entirely renovated and enjoys a wonderful view of the Sibylline Apennines. 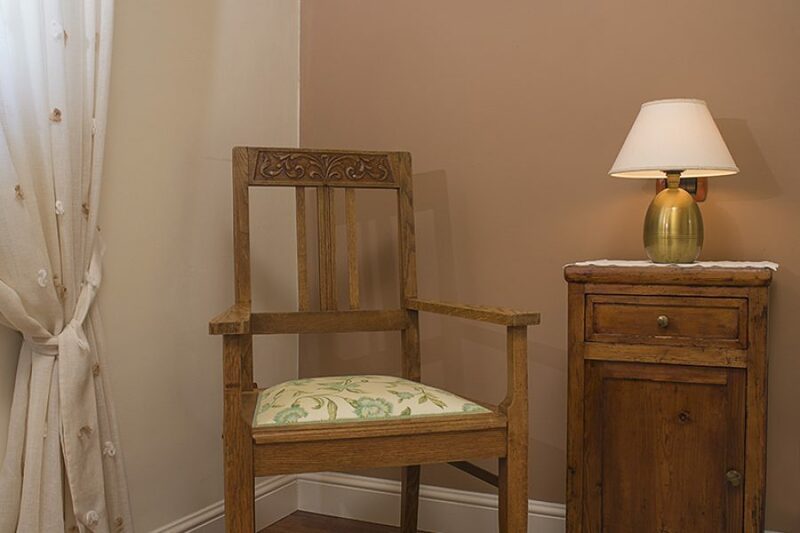 The floors have been fitted with vintage terracotta tiles, whilst the antique furniture has been salvaged from a local old barn and restored to its former glory.